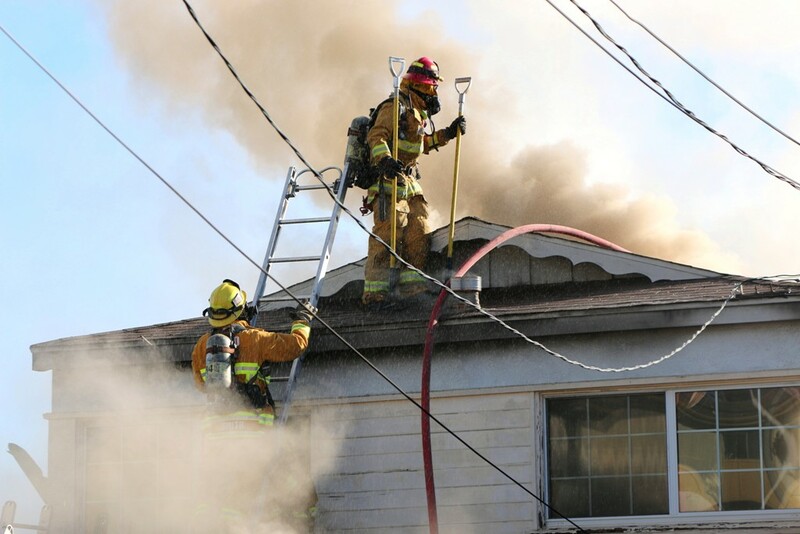 A Redondo Beach home was severely damaged Friday morning in a two-alarm house fire that saw responses from four different fire departments. Neighbors responded just as quickly as the professionals, taking care of the owners who have lived in the home for more than 20 years. At about 8:05 a.m., Michele Belden stepped outside her home on the Hermosa Beach side of Harper Avenue to take her daughter to school. As soon as she opened her door, she saw smoke pour out from the home across the street. Belden called 911 and ran across the street to knock on doors to make sure neighbors in adjacent houses had gotten out. Redondo Beach Firefighters were on scene within about five minutes, Belden said. According to RBFD Division Chief Robert Rappaport, heavy fire was coming from the rear of the house, spreading up to the attic. Because the house is in such close proximity to neighboring homes, Redondo then called a second alarm, bringing a mutual aid response from Manhattan Beach, Torrance and LA County fire departments. Firefighters on scene estimated it took about 50 minutes to knock down the fire. Hotspots persisted until after 10:30 a.m., as firefighters punched holes in the roof and sprayed water over the structure. Initial observations indicate that the fire started at the back of the home. Rappaport said it’s not clear whether it started inside or outside of the structure. The fire appears to have spread from the home’s subfloor to the second story. Homeowners Rolf and Cathy Kich were at work when they learned about the fire, from their 11-year-old daughter’s school. “It hasn’t hit me yet. I’m sure the shock will kick in later though,” Rolf Kich said, as neighbors tended to his wife and set up a pop-up shelter and chairs on the sidewalk across the street. Redondo Beach Firefighters Association President Greg Allen said that RBFA will be in “immediate contact” with the homeowners, to assist them using the Association’s Community Relief Fund. “We’ll take care of any needs they may have,” Allen said, indicating that would include a stay at a nearby hotel. Rappaport initially estimated damage to the house and possessions to be about $250,000, and that fire crews would be on scene throughout the day to finish clearing the house and investigate the fire. No one was injured, Rappaport said.